SARGODHA – Spiritual leader and custodian of Sial Sharif Shrine of Sargodha Pir Khawaja Hameeduddin Sialvi has expressed satisfaction after achieving his goal and receiving the resignation of Punjab Chief Minister Shehbaz Sharif on Thursday. The said resignation came as the Punjab CM resigned himself to the Pir’s knees, rendering the need for any other form of resignation, and in turn a protest, futile, according to the spiritual leader himself. 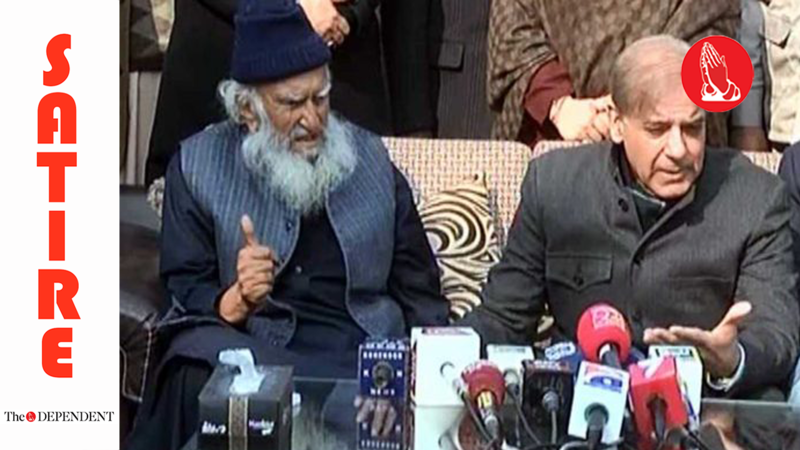 While speaking to media after the receiving the resignation, the chief minister said that a committee has been constituted to make a list of resignations that Pir Sialvi demands, which would be similarly offered to him. Sources within the meeting have confirmed that Punjab Law Minister Rana Sanaullah has already offered a similar resignation to the Pir. The spiritual leader who was heading a campaign demanding resignations and apologies has accepted both with an open heart. The Pir conceded that while other exchanges at multiple levels had taken place as well, the fact that he has received the resignation is sufficient.